CALL IRON CITY COMMAND POST PRIOR TO ENTRY SOUTH RAMP. 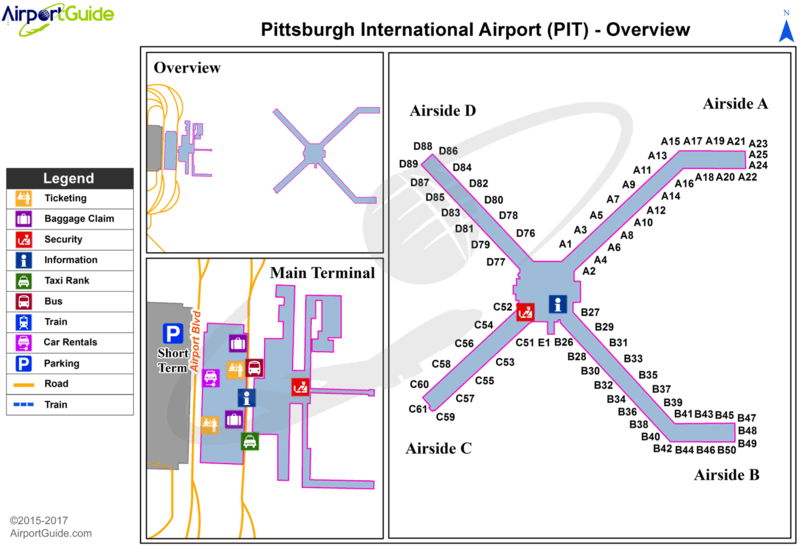 FAA Terminal Procedures valid from 0901Z 03/28/19 to 0901Z 04/25/19. To license this image, contact us. A110-1 DEER & BIRDS ON & INVOF ARPT. A110-10 ATCT IS AUTHORIZED TO HAVE ACFT LINE-UP & WAIT ON RYS 28L AT TWY 'P' DURG HRS OF DARKNESS. THE SPECIFIC RY SHALL BE USED ONLY FOR DEPARTURES & THE INTXN MUST BE VSB FM ATCT. A110-17 SERVICE-JASU: (ANG) (A/M32A-86) (AM 32-95; (AFRC - 2(A/M32-86 (AM32-95). A110-2 ALL JETS DEPARTING RY 28R MUST BE ALIGNED WI RY PRIOR TO APPLYING TKOF POWER. A110-20 SERVICE-TRAN ALERT: NO PRIORITY BASIS. A110-27 TWY G INTXN AT RY 10L/28R RIGHT TURN NA. A110-28 FUEL: A++ PROVIDED BY ANG AND AFRC.(MIL). A110-29 ASSC IN USE. OPERATE TRANSPONDERS WITH ALTITUDE REPORTING MODE AND ADS-B (IF EQUIPPED) ENABLED ON ALL AIRPORT SURFACES. A110-3 ACFT USING TWY 'N' PROHIBITED TO STOP ON OVERPASS AREA DUE TO POSSIBLE EMERGENCY EVACUATION HAZARD. A110-30 PPR/OFFL BUS MIN 48 HR CTC AFLD MGMT DSN 277 8163, C412 474 8163. NO TRAN SVC. AFLD MGT NML DUTY HRS 1230 0400++MON FRI, EXC HOL. UNIT TRAINING ASSEMBLY 1300 2100Z++SAT SUN.TRAN ACFT MUST HAVE APPVL OF 911OG/CC FOR PPR DUR OFF DUTY HR. NO SVC AVBL FOR SPACE AVBL PAX DUR OFF DUTY HR. CALL PITT COMD POST (IRON CITY) BY RDO PRIOR TO ENTRY TO AFRC RAMP. NON STD RAMP MARKINGS DUE TO CONSTR. ALFD MGMT DOES NOT ISSUE OR STOR COMSEC. COMSEC STOR CTC COMD POST DSN 277 8146. 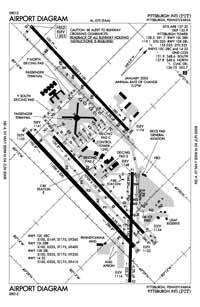 A110-31 TWY AA NO TURN-OFF ONTO TWY A FOR ACFT WINGSPAN 171 FT OR GREATER EXC PPR (412) 472-5630. A110-32 TERMINAL APRON CONTROL FREQS ARE 130.77 FOR NORTH APRON; 131.37 FOR SOUTH APRON. A110-4 ANG ACFT MUST CTC TANKER 303.0/FTR OPNS 293.7 BEFORE CROSSING RWY 28L TO OBTAIN CLNC TO ENTER. A110-5 TERML TAXILANES E OF CONCOURSES A & B RESTRD TO GROUP 3 ACFT & SMALLER. A30-H1 HELIPORT H1 LCTD ON TWY N NORTH OF TWY N4. A49-10L ALSF2/SSALR IS A DUAL MODE SYSTEM & CONTROLLED BY ATCT & REMOTE MONITORED. A58-14 7 FT. TREES, 136 FT. OUT, 413 RIGHT. A70 LOX SOAP (AVBL DURG ANG DUTY HOURS ONLY. 30 MIN PRIOR NOTICE RQRD.). E111 IN OPERN PRIOR TO 1959. Single Wheel Landing Gear: 100. Dual Wheel Landing Gear: 149. Dual Wheel Landing Gear: 225.